The only way to capture the essence of the Skull is to look it straight in the eye. This is the first time that, when you look at the time, time stares right back. Because Skull's eyes are alive. The right eye becomes gradually darker as the 65 hours of power reserve go by. The left eye conceals a continually rotating seconds dial. 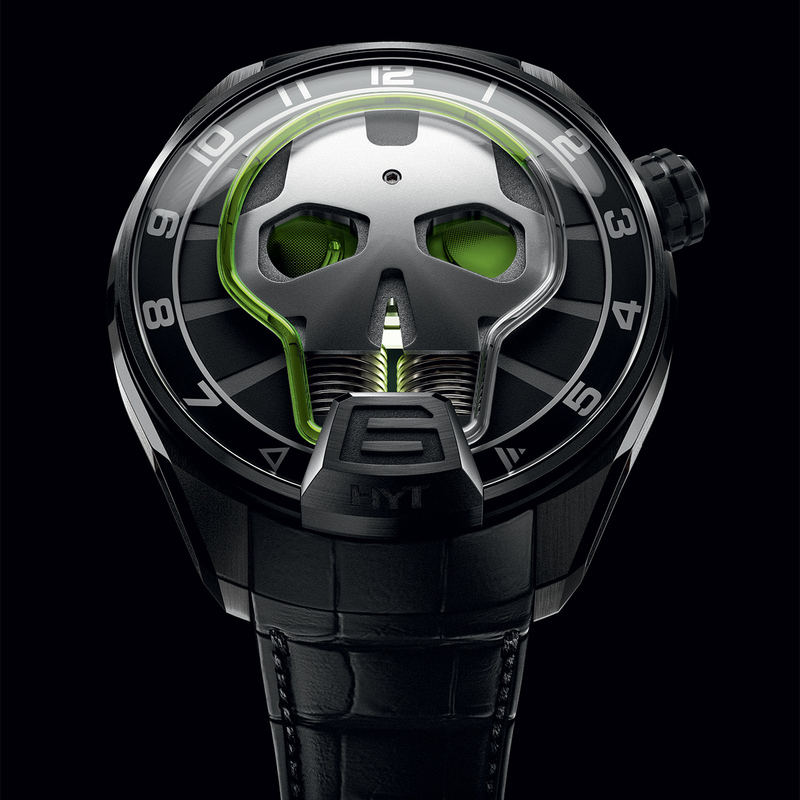 An "out of the box" watch if ever there was, Skull dispenses with minutes to fully focus on the liquid hours, the signature of an HYT watch. This fluid travels along a capillary in the form of a skull, and bending the glass into this form was a significant challenge. 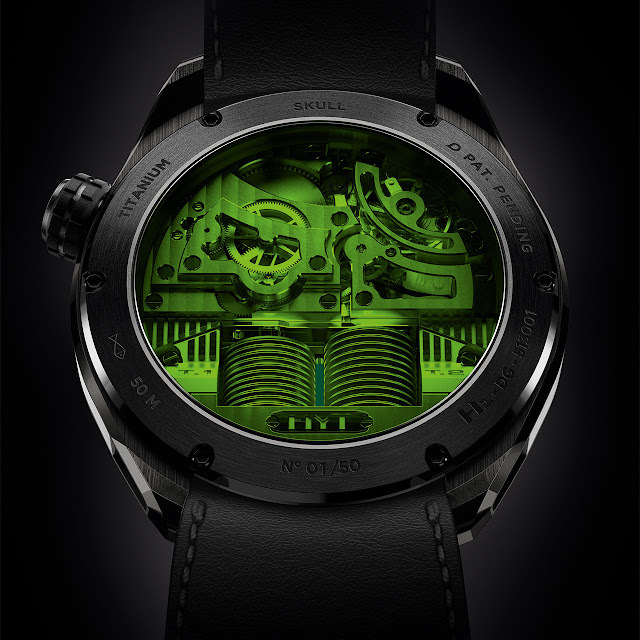 Also, power had to be calculated to be sufficient to push the liquid around the sharp angles while maintaining precision timekeeping over 12 hours. Nor are these the only developments. The two vertical bellows are in constant motion as their imperceptible expansion and compression drives the liquid through the capillary to make the skull even more alive. 50-piece limited series.